Warranty with possibility of refund. All parts (mechanical and electrical) carry a 10-day warranty with the original invoice. If the part is still available, it will be exchanged free of charge. 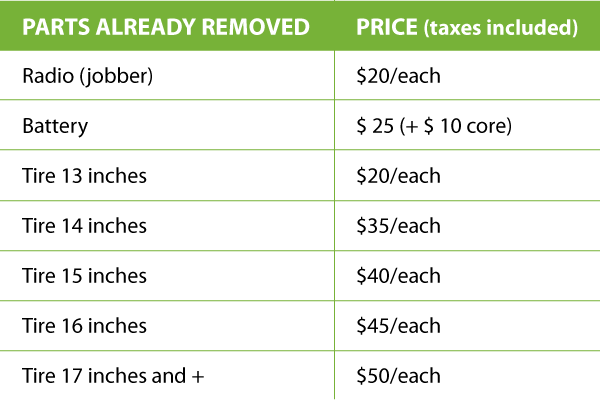 If the part is no longer available, it will be refunded (part only). Our part disassembly service (labor) is not covered by the warranty and is not refundable. 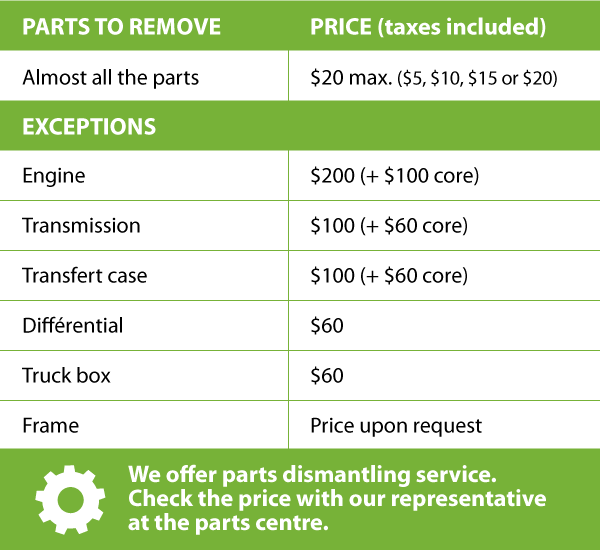 All mechanical and electrical parts (except engine) carry a 90-day warranty with the original invoice. If the part is no longer available, a credit note will be given for the part only. All body parts are sold “as is” without warranty or refund.